Finding out the difference between a CB radio and a walkie-talkie can help you understand a bit more about types of radio available. CB radio stands for citizens band radio; walkie-talkies can be thought of as very short-range radios that operate on a fixed frequency. Both CB radios and walkie-talkies can be classified as two-way radios or transceivers. CB radio stands for citizen band radio and is named after a portion of the radio bandwidth that has been designated by the Federal Communications Commission (FCC) as being for public use. CB radio operates at a bandwidth of around 27 MHz and uses the 40 channels around this bandwidth. The most popular form of CB radio communication is the use of CB radio from cars or trucks that was started in the 1970s. Many people still use these mobile transceivers today, and others use a fixed location such as their home to broadcast. The range of CB radios is generally less than 20 miles, but some users illegally modify their equipment to be more powerful. One group, the Radio Emergency Associated Communications Teams (REACT), operate an emergency service at 27.065 MHz (channel 9). 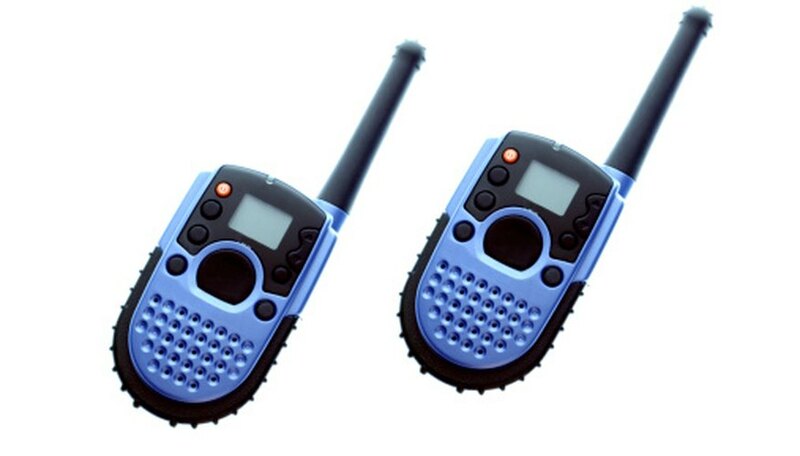 Walkie-talkies can be used in closed situations and even for kid’s toys. Walkie-talkies operate on a set number of different channels (usually eight) and have codes programmed in to filter out any noise not created by a device with the matching code. The army was the first group to use walkie-talkies in their work, and the police and the fire service soon followed the practice. In modern times, many different people use walkie-talkies, and they are common for security teams and other workplace groups. Even children can be given walkie-talkies to communicate with friends or siblings. With no obstructions, walkie-talkies can transmit up to around two miles and generally have a “Push to Talk” (PTT) button, which must be held to transmit and released to receive. A few similarities exist between walkie-talkies and CB radios. Firstly, they both operate on different frequencies in the radio wave spectrum. They can both be classed as transceivers (transmitters and receivers) of radio signals. They both use channels and can even be relatively similar in appearance. The main difference between walkie-talkies and CB radios is their range. Walkie-talkies, in the best possible conditions, can transmit to a distance of around two miles. CB radios, on the other hand, can transmit up to 20 miles, which is ten times the range. As well as this, CB radios and walkie-talkies operate on different frequencies and walkie-talkies usually have codes set up so that they can only communicate with a paired device. Tech Target: What is Citizen's Band Radio (CB)? Fast Radios: Walkie Talkies Vs. Two Way Radios: What's the Difference?